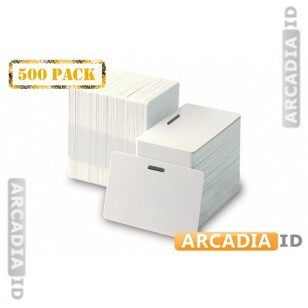 These are packs of 500 horizontal ID cards, each with a slot punched in the top for use with a lanyard or badge reel. Create cards quickly that will look great and hang safely around your neck. Take a look around the rest of the site for different types of badge reel in a range of quantities. Rapid delivery on every order.